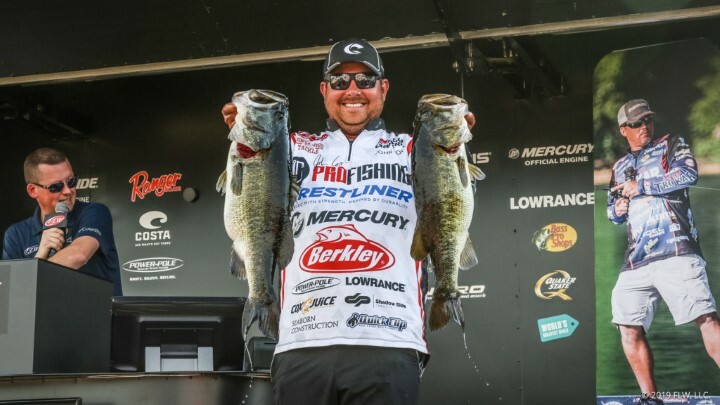 KISSIMMEE, Fla. (Feb. 7, 2019) – Pro John Cox of DeBary, Florida, hauled in a massive five-bass limit weighing 31 pounds, 9 ounces – the largest limit ever weighed in FLW Tour competition at Lake Toho – to grab the lead after day one of the FLW Tour at Lake Toho presented by Ranger Boats. 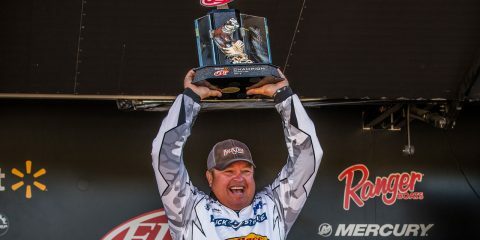 Cox will bring a 6-pound, 10-ounce advantage over second-place pro John Voyles of Petersburg, Indiana, into Day Two of the four-day tournament that features 170 of the world’s most decorated bass-fishing professionals casting for a top award of up to $125,000 cash. “When I got up this morning, I was just excited to go fishing,” said Cox, the 2016 FLW Cup Champion who has more than $11 million in career earnings. 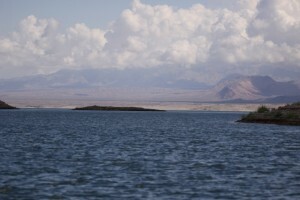 “The weather was warm – for once – and it was going to be sunny and not windy. It was an awesome day. FLW is the world’s largest tournament-fishing organization, providing anglers of all skill levels the opportunity to compete for millions in prize money in 2019 across five tournament circuits. 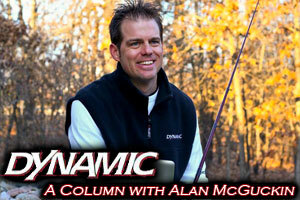 Headquartered in Benton, Kentucky, with offices in Minneapolis, FLW and their partners conduct more than 290 bass-fishing tournaments annually around the world, including the United States, Canada, China, Italy, South Korea, Mexico, Portugal, South Africa and Spain. 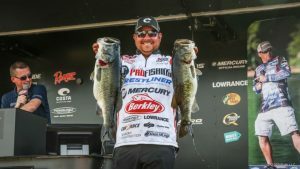 FLW tournament fishing can be seen on the Emmy-nominated “FLW” television show while FLW Bass Fishing magazine delivers cutting-edge tips from top pros. 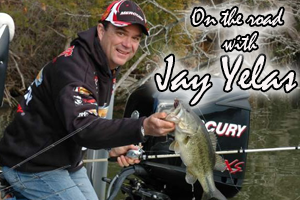 For more information visit FLWFishing.com and follow FLW at Facebook, Twitter, Instagram, YouTube. 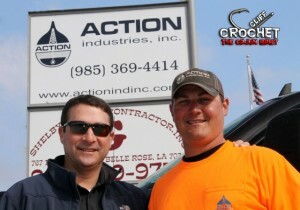 Cliff Crochet Partners with Action Ind.